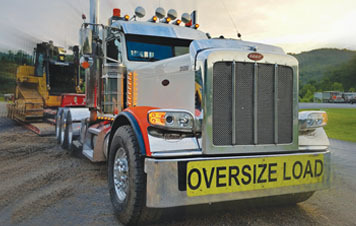 Wolfe’s Excavating is a turnkey company specializing in both small-scale and large-scale trucking, paving and excavating projects. WE have years of combined experience in excavating and trucking services across the regions of West Virginia, Pennsylvania and Ohio. When it comes to reliable trucking and excavating services, allow the experts at Wolfe’s Excavating to handle your project from start to completion. Our focus to details and good communications from the beginning to the completion of each project is of the utmost importance, establishing a trusting long lasting relationship is our commitment. We are hiring a number of positions within our growing company including operators, drivers and laborers. WE were founded on a variety of principles and values that have helped mold Wolfe’s Excavating into the company we are today. Many of those values were formed long before the company existed, and many of them continue to evolve as the company continues into the future. WE invite you to take a look at the core values, dedication and work ethic that has built Wolfe’s Excavating from the start. We have built a reputation for providing industry-leading services while ensuring the highest level of quality and safey. We continue to evolve to provide our customers the services they need to be successful. WE have a number of excavation capabilities available to meet the needs of our clients’ unique projects, both small-scale and large-scale. With Wolfe’s Excavating, no job is too big or too small for us to handle. 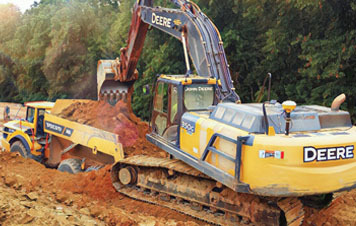 From mass excavation and site development to access roads, utilities, compressor sites and pipeline, our team has the experience and equipment to get the job done right. WE are capable of transforming existing ground conditions and turning them into a suitable foundation for construction or traffic. 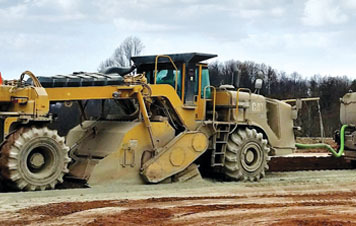 Utilizing our state-of-the-art equipment, such as our Concrete Applicator or RM 500 Reclaimer, we are the proven industry leaders with years of experience and quality solutions for all of your of soil stabilization needs. WE are a leader in quality trucking services in the tri-state area. Our trained professionals approach each job with years of experience and a commitment to get the job done right. Using our stone trucks, tractors and floats, winch tractors, lowboys, triaxle tractors and triaxle D-tach, we can take your project from start to finish quickly and efficiently. WE specialize in quality paving and asphalt services. 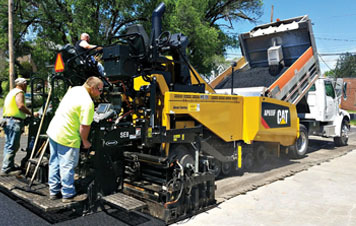 Our trained staff specializes in quality patchwork, road paving, and parking lot paving services. With our state-of-the-art tools and machines, we’re able to complete a variety of projects for our clients. WE get the job done on time and under budget each and every time.